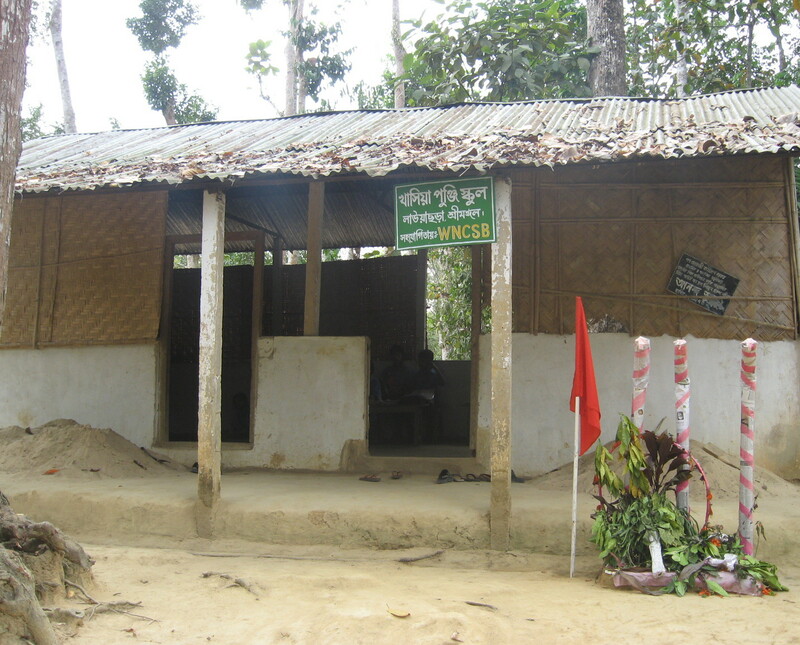 While near Srimongol, visited Lawachara National Park. Described as ‘natural pristine wilderness’ in guide book. 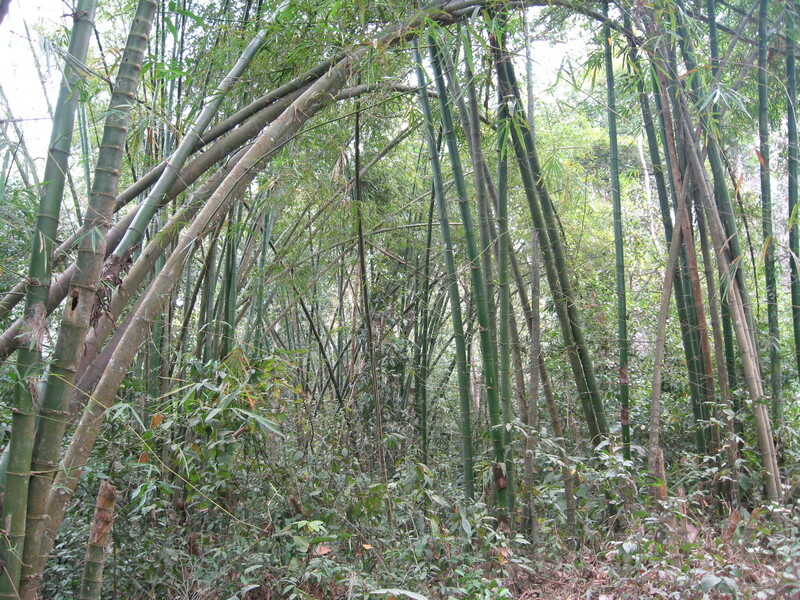 Huge forest area where you can find the famous Hoolock Gibbons as well as barking deer, wild pig, pythons, various birds etc. Lovely to walk through forest with our ‘eco-guide’, Tapas. Sadly we didn’t see any monkey’s tho we did hear them. Sadly, the park is a destination for bus loads of Bangladeshi school groups and community outings. The buses they use are fixed with loudspeakers which play suitably riotous festive music from the rooftops, as the buses career around the country roads. The jungle paths and clearings are also littered with wrappers etc. Guide proudly showed us ‘the only jungle cricket ground’, at which there was evidence of much carousing. I suppose it is a good thing that the park is used, and cities like Dhaka have almost no public space, so understandable that people are more interested in playing than preserving the peace. 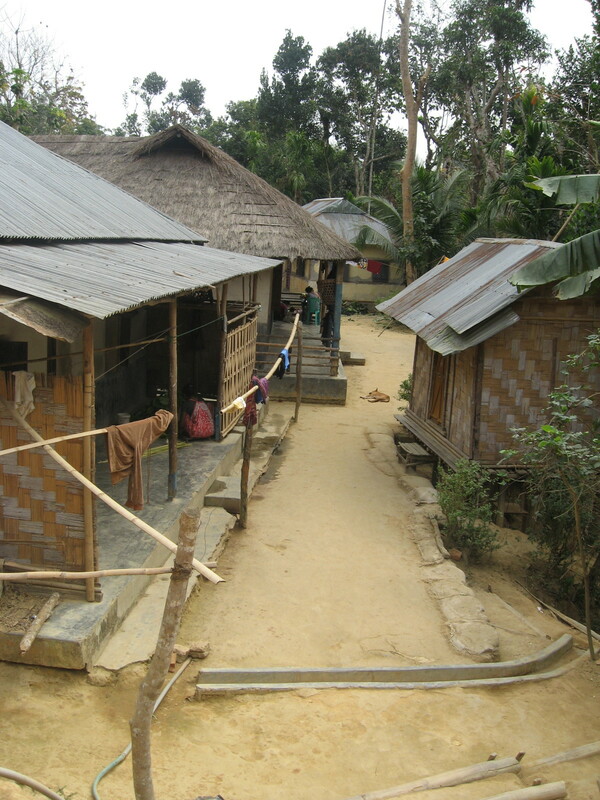 By far the most memorable thing though was coming across one of the many indigenous villages of the area. The one we visited, Lawachara Punji, was without road access or electricity. 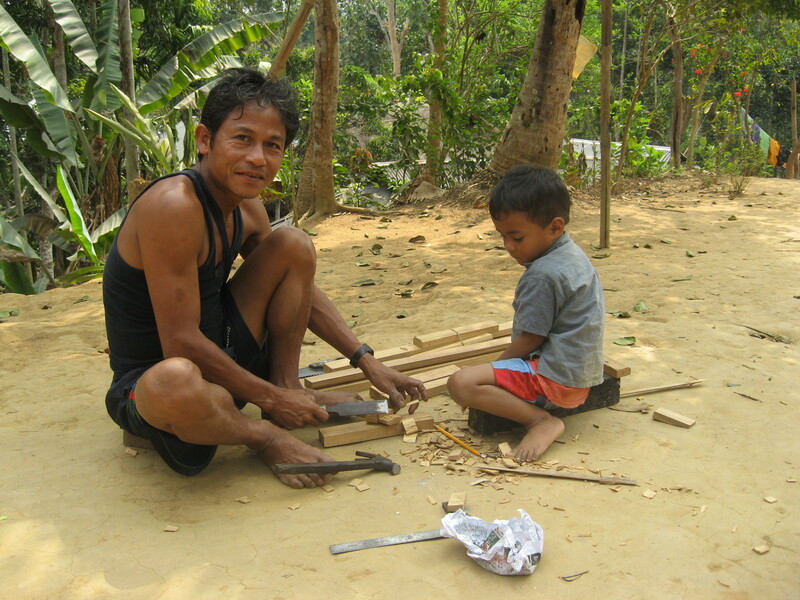 Built high in the forest, the local people live in simple homes, cultivating betel leaf to sell. They speak a different language to the Bengalis, have different dress styles and customs. Most of the villages are Hindu, part of the Tripura peoples, though the one we visited had a Christian church in it; perhaps a relic of the Portuguese missionaries? Evidently they have lived here in the forest for 700-800 years. Their features are more chinese than the Bengalis. 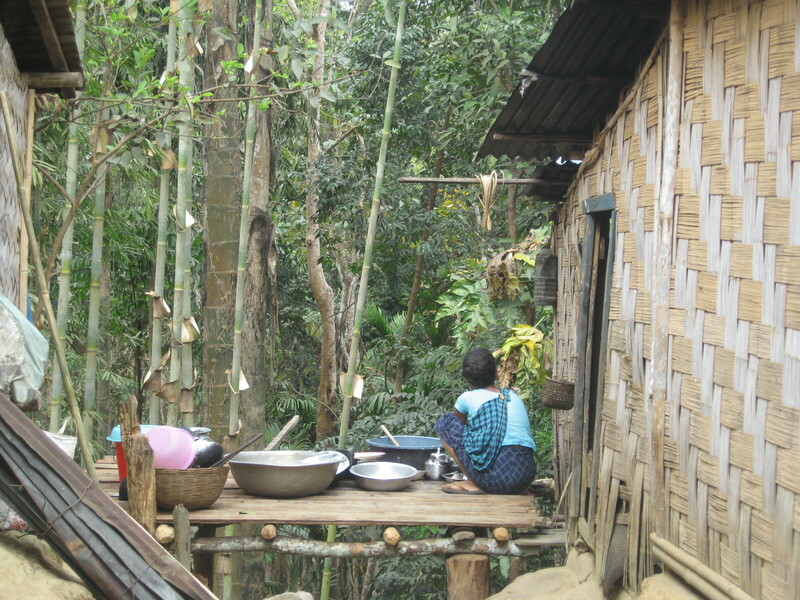 Their little houses are often perched right on the sides of hillsides, with little scullery areas on precarious bamboo platforms jutting out over the land edge. 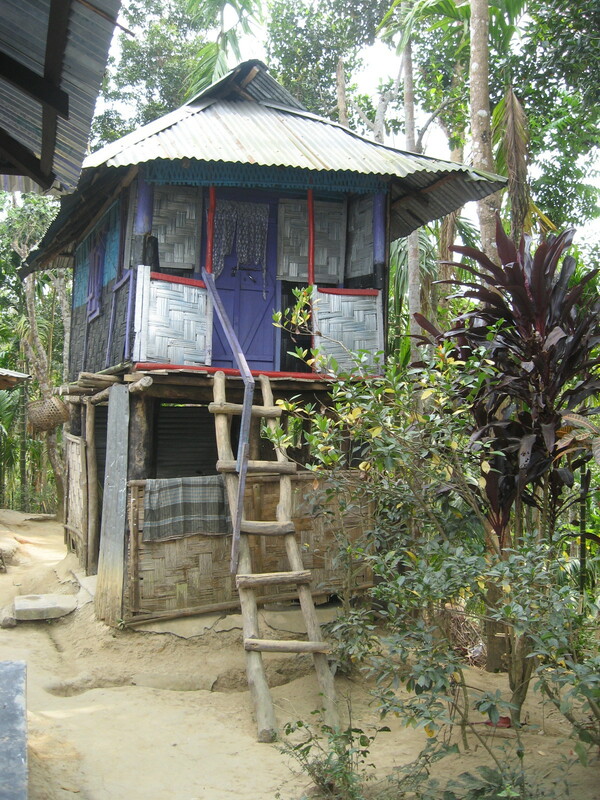 My favourite house was tiny, brightly coloured, on stilts (they store the betel leaf beneath the house). Could live in this little house! As simple and unspoilt as this village life seemed, realised how much at the mercy of the government these people are. They have no rights, and there are no services to the village (electricity, water, doctors etc). The only school is a tiny room. They were of course delighted to have us visit and I would have loved to stay and ‘play’. There were about 12 children, a very young teacher, a bench, a stick, an old map, a small blackboard and a small pile of books. Was intrigued to see that the students had made their own small language memorial for Ekushey a few days before. Few students progress to secondary school. You wonder what sort of future they have. Very happy though, and a lot healthier than a Dhaka childhood.